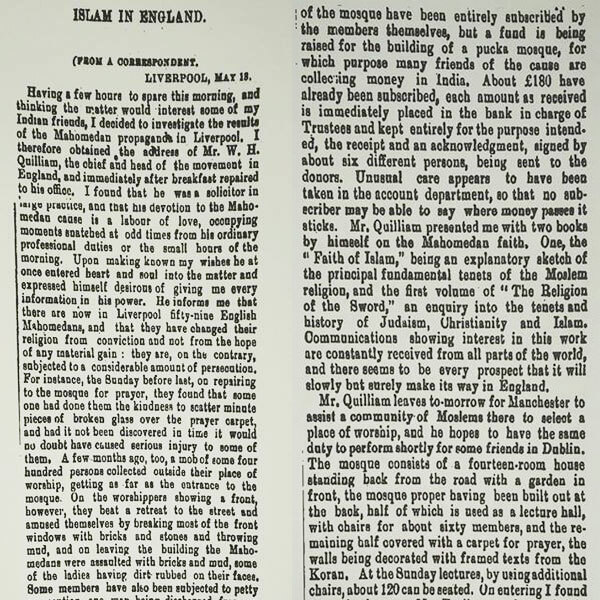 An early account of the Muslim community in Liverpool from the Times of India correspondent, alongside an early interview with Quilliam (18 March 1892), published in the Times of India, 7 June 1892, p.5. There is a description of the community and its daily life. One little nugget among others is that George Sale’s Koran translation is used but with corrections. It also has interesting things to say about Quilliam’s approach to inviting people to Islam.